Researches say a plague-like fungus—transported via trade in pet amphibians—is responsible for most frog extinctions, but some species are on the rebound due to adaptations and possibly climate change. In related news: BC’s caribou recovery plan is panned for ignoring community viability and its short consultation process; as is New Zealand’s reliance on trees to meet its CO2 reduction obligations. In other news: a decision is expected today on the future of Northern Pulp’s Pictou mill; wildfire headlines and actions in Washington, Oregon and California; and awards and recognitions for John Brink (Brink Forest Products), Amy Johnson (Canfor) and North Carolina Senator Deanna Ballard. Finally, climbing the world’s tallest tree via a human dash-cam. On Thursday, 41 scientists published the first worldwide analysis of a fungal outbreak that’s been wiping out frogs for decades. …The researchers conclude that populations of more than 500 species of amphibians have declined significantly because of the outbreak — including at least 90 species presumed to have gone extinct. …The losses were puzzling, because the frogs were living in pristine habitats, unharmed by pollution or deforestation. In the late 1990s, researchers discovered Batrachochytrium dendrobatidis — Bd. …The fungus turned up in other countries — probably via the international trade in pet amphibians. …Certain factors once thought to account for the decimation of frog populations — like climate change and deforestation — are not the greatest threats, the scientists found. …Today, 39 percent of the species that suffered population declines are still declining. Twelve percent are showing signs of recovery. In 2013, two biologists named Jamie Voyles and Corinne L. Richards-Zawacki spent weeks slogging up and down mountainsides in Panama. …In front of them sat the object of their quest: a single gold-and-black frog. …“They used to be so abundant …But in recent years… they couldn’t find any. …As had frogs around the world. Dr. Voyles and other frog researchers found that many of the dead frogs were covered with the same aggressive skin fungus, known as Batrachochytrium dendrobatidis or Bd. …Now scientists are trying to figure out what accounts for these rebounds. Dr. Voyles published evidence suggesting that the frogs have gained potent defenses in their skin against the fungus. …Even climate change may be temporarily helping some frogs withstand the fungus. 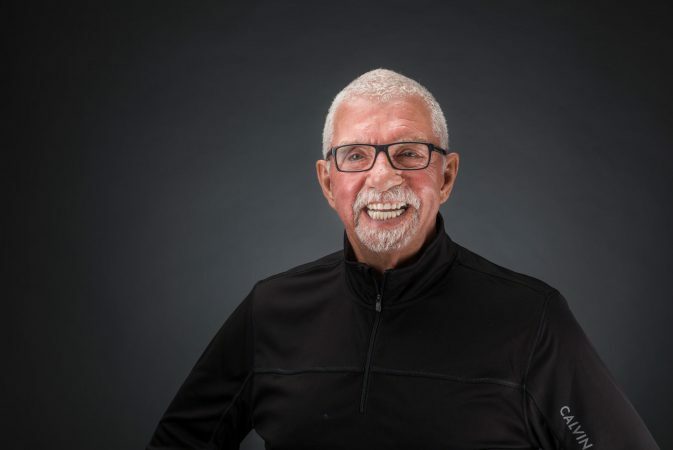 The University of Northern British Columbia announced that Brink, along with Dr. Jo-ann Archibald, would be recipients of the school’s honorary degrees during the 2019 convocation ceremony on May 31. Brinks, a forestry industry pioneer, and philanthropist in Prince George, and Archibald, an indigenous educator, researcher, and scholar, will receive honorary Doctor of Laws degrees. … Brink is the Chief Executive Officer of Brink Forest Products, the largest secondary wood manufacturing company in Canada and 13th largest forest company in British Columbia. In 1975, Brink established his business after immigrating to Canada from Holland a decade prior. “Arriving in Canada in 1965 at the age of 24, I had a dream of building a sawmill,” said Brink. “I had one suitcase, the clothing on my back and $25.47 in my pocket. Nova Scotia Environment Minister Margaret Miller is expected to release her decision today on the environmental assessment of the Northern Pulp mill’s proposed effluent treatment facility. Miller’s decision comes after a 30-day public comment period for the controversial project that includes a new, 15.5-kilometre-long pipeline that will carry millions of litres of treated waste water to the Northumberland Strait. Miller says the decision is one of the biggest she’s had to make during her time in government. The minister says she has reviewed more than 1,700 pages of environmental assessment documents submitted by the mill as well as 918 online submissions by the public. Our upcoming tall wood building The Arbour continues to generate excitement a year after the project was announced. The plan and concept for our sustainable building recently won two prestigious awards celebrating future projects. The Arbour won the Sustainability Prize at the 2019 Architectural Review Future Project Awards in Cannes, France on March 13—an event that celebrates excellence in unbuilt or incomplete projects around the world. The Arbour was also recognized with a 2018 Rethinking the Future Award in the Institutional Concept category. Rethinking the Future is an international organization that serves as “a hub for architecture and design” that envisions a future where architects and designers aim to meet human needs in a sustainable way. UBC Graduate Student Meike Siegner has completed her report to BC Community Forest Association as part of her doctoral research in the Faculty of Forestry. “This report is written to inform about the diverse work of community forest managers in BC and seeks to inspire readers that want to learn more about effective leadership in community-based social enterprises. Drawing from a qualitative study on managerial decision-making in community forests in BC, this report will grant readers insight into the nature and scope of the managerial role in these organizations, and how management can effectively balance business and community goals and values. Decision-makers at the local and provincial level can learn about the experiences of community forest managers in engaging with this new form of forest tenure. … the BC government released its “draft” strategy and agreements for the protection of caribou. …Our government just short-circuited the process by excluding most of the area’s population from participating in decision-making processes that will affect us, our livelihoods, and potentially, the viability of our communities. It’s difficult to know where to start this, as it has been all so wrong. Not wrong in the sense for the need to protect caribou. …This is about cramming caribou management down our throats under the guise of righting historical grievances. …This is about our governments quietly transfer their power and governing roles and responsibilities to one that favours one segment of the population over the rest. …These agreements do not use all available science. Nothing about the single largest cause of the collapse of these herds. …And, finally, what the heck is the rush… the current wolf kill and maternal penning program is increasing the caribou herds. ARNOLD, CALIFORNIA — Local efforts to reduce wildfire threats continue to move forward across the county, while many other projects are locked in environmental review stages. According to the agency’s tree mortality and fuel reduction update for February, the California Department of Forestry and Fire Protection (Cal Fire) has treated almost 70 acres across 11 projects in Calaveras and Tuolumne counties this year. …“We’re trying to take out the dead materials, snags and open the (canopy) so if we do get retardant in here (during a fire), the retardant actually hits the ground,” Rushdoony said. Brush will grow back in two to three years, and the area should be treated again within five years, Rushdoony said. Californians may not spend much time thinking about Brazil’s new leader Jair Bolsonaro, since there is plenty to worry about with our own president. But Bolsonaro has declared war on the forest and forest peoples of Brazil, and the Golden State is ideally positioned to counter his disastrous agenda. Our first step should be to endorse the Tropical Forest Standard proposed by the Air Resources Board. Indigenous people on the front lines deserve no less. Presidents Trump and Bolsonaro, who met at the White House last week, have much in common. In addition to the fear-mongering, racism, misogyny and affinity for conspiracy theories and urban legends over science, they also share an archaic early 1900s view of the environment and development. Under that view, a healthy environment and strong economy are incompatible. …We can’t know for sure, but we do know what helps to prevent the most catastrophic damage from wildfires: Healthier, more resilient forests, well-informed communities taking action and better-equipped firefighters. Under the leadership of Washington’s Commissioner of Public Lands Hilary Franz, our Department of Natural Resources has an ambitious vision to fund this critical forest and community resilience work. It’s now up to the Legislature to provide the funding to make this vision a reality. A bill introduced in the Senate Thursday would generate $125 million per biennium for forest health and wildfire prevention, enabling investment at a scale to meet the problem. …The good news is that with proper funding, we can protect our forests — and the people who make their homes and livelihoods within them — from the risk of catastrophic fire. 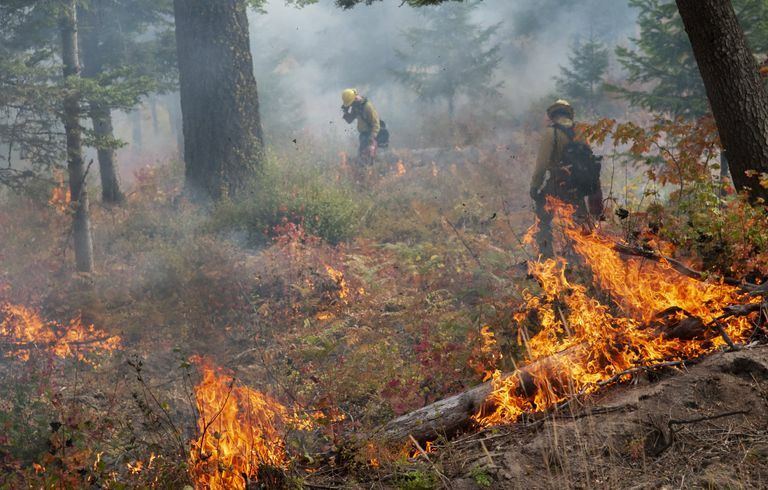 BEND, OREGON — …Wildfires are occurring with increasing frequency, intensity and duration. Our choices are to do nothing or figure out a new course of proactive solutions. One consideration is to put out wildfires when they are small — thus reducing the occurrence of mega fires. …In Europe, Germany…rapid response means that wildfires are stopped before they become catastrophic. …When offensive fire suppression is combined with active forest management, wildfires can be reduced in number and intensity. …Canada implements a zone system around population areas surrounded by forest. The zone determines the level and intensity of forest management needed to protect people and sustain healthy forests. The zones also determine how and when fire suppression will be executed. The world’s tallest tree is a redwood called Hyperion which towers above the ground in Redwood National Park, California. The Goliath was identified in 2006 and measures exactly 115.85 meters (379.7 feet tall and about 22 feet (7 meters) at its base. Around the world, there are claims to having the “oldest tree” in Europe or Australia to having the “tallest” of a particular species of tree, and it is always fun to learn more about these special, record-breakers among the three trillion trees currently alive in the world. Hyperion – the coast redwood (Sequoia sempervirens) in California was not discovered until 2006. …During the Carter administration, the valley where Hyperion grows was seized by the government and added to Redwood National Park. Only 4 percent of the park’s historical redwoods have escaped logging. The exact location of Hyperion is kept in secret to prevent any damage to the tree from visitors. SACRAMENTO, Calif. — Cal Fire has awarded over $63 million in grants for 16 landscape-scale, regionally-based projects aimed at promoting health and resilient forests that protect and enhance forest carbon sequestration. The grants were awarded by Cal Fire’s Forest Health Program to affect private, state, and federal forestlands in 13 California counties. Cal Fire’s Forest Health program restores California’s forestlands through a suite of active management approaches including thinning of overly dense and, in some cases, pest-impacted forests; use of prescribed fire for ecological restoration and to reduce hazardous fuel loads; reforestation of forests diminished by fire, drought, insects and diseases; and capacity support for forest management, wood processing and biomass utilization. BOONE — State Sen. Deanna Ballard represents North Carolina’s 45th District, which is comprised of Alleghany, Ashe, Surry, Watauga and Wilkes counties. 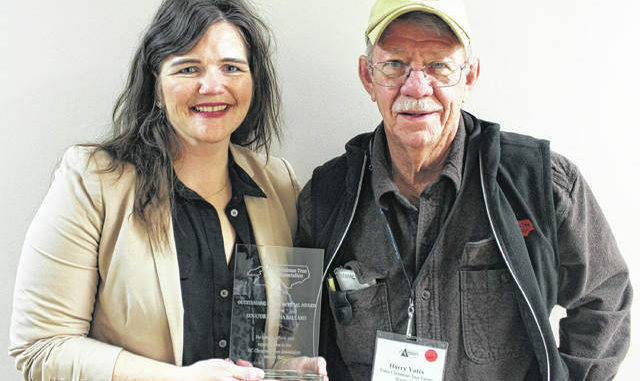 Ballard was recognized for her ongoing support of the Christmas Tree Industry. “The North Carolina Christmas Tree Association (NCCTA) values and appreciates Senator Ballard’s attentiveness to our industry’s needs, as well as her participation in our semi-annual meetings and farm visits. She has also participated in special events including Trees for Troops and the White House Tree Selection and presentation. She has been very supportive to our industry’s concerns and we recognize her efforts in assisting the Christmas Tree Industry and Agriculture,” said Harry Yates, NCCTA. Forest management company Merrill and Ring have been acknowledged for going above and beyond to harvest pines at a sensitive Marlborough site. 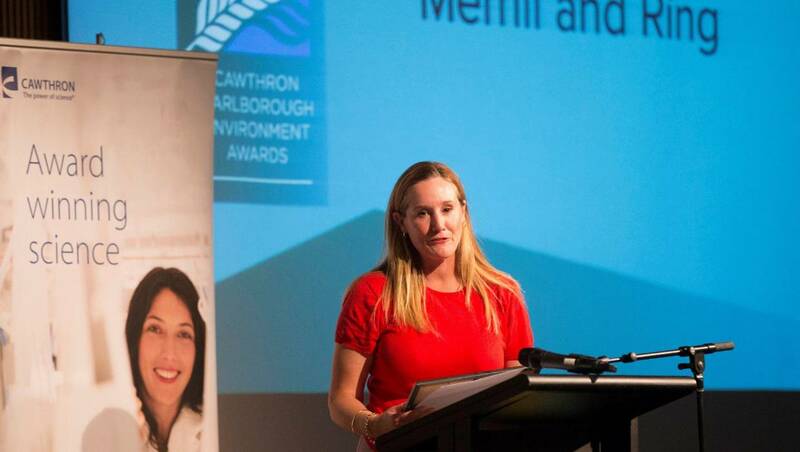 For its work around ecologically significant sites at the Branch River pine plantation in the Upper Wairau Valley, the company took out the forestry category at the 2019 Cawthron Marlborough Environment Awards last week. The biennial awards showcase businesses and community projects that protect and enhance the environment. 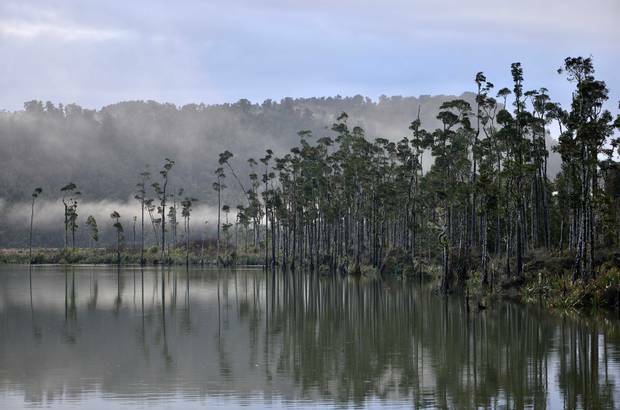 As the property managers for the Branch River pine plantation property – on behalf of Australian landowners New Forests – Merrill and Ring’s Blenheim-based team have worked to ensure pine trees are being felled and extracted more carefully and tōtara seed is being collected from the native forest remnants and grown out to seedlings. For too long, climate policy in New Zealand has been entangled in the net of “net” emissions. And the Government’s swift rejection this week of a key recommendation from the Parliamentary Commissioner for the Environment, Simon Upton, suggests we will remain so ensnared. We have been complacent about relentless growth in emissions of carbon dioxide, and have met our international obligations, because they have been offset by the CO2 taken up by trees in an expanding forest estate. Policymakers have suffered from a kind of collective wilful blindness, an unwillingness to really confront the obvious fact that trees can only provide a temporary store of carbon before they are harvested or succumb to other risks like fire or pests and diseases. …One consequence of the big swings in afforestation rates since the 1990s is that in the coming decade, forests are due to flip from being a net sink to a net source of national greenhouse gas emissions. At Canfor, where safety is our number one priority, it gives me great pride to share that Amy Johnson, Safety Manager with our New South Express truck fleet, has been awarded South Carolina Safety Professional of the Year by the South Carolina Trucking Association (SCTA). Amy received this prestigious award as a motor carrier safety professional whose qualifications, safety programs and safety achievements were deemed most outstanding by the SCTA. What makes this recognition even more special is that Amy is the first woman to ever receive this award. In an industry where we are working to diversify our workforce, Amy’s award helps to demonstrate our industry is one that offers equal opportunity for both men and women to succeed.